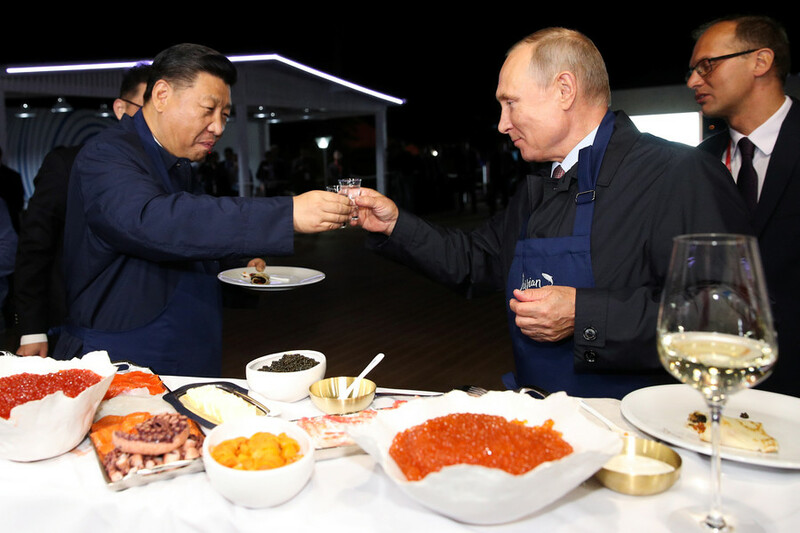 Chinese leader Xi Jinping was challenged to show his cooking skills by host Vladimir Putin, when the Russian president invited his guest to try a traditional dish: pancake with caviar chased down with a shot of vodka. Xi is visiting Russia’s far eastern city of Vladivostok, where an international economic forum is taking place. Taking a break from talks, the Russian president and his Chinese counterpart put on aprons and each cooked a Russian-style pancake called ‘blin’.